Juicy Couture Inc is a casual wear and apparels seller. The company now owns than 100 Juicy Couture and many Juice Couture outlet stores. Those stores offers you wide verity of products like handbags, shows, swimwear, fragrance, baby wear etc. Goal of the company is to give best products to it's customers belonging to the age group of 10 to 26. The company also provides men's clothing with different kinds of accessories. Two friends named Gela Nash-Taylor and Pamela Skaist are the founders of the company. 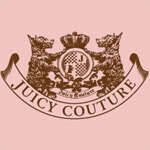 They initiated the Juicy Couture in the year 1995. There are currently 0 consumer reviews about Juicy Couture, Inc available. Share your review. Please take a note that you are about to post a public review about Juicy Couture, Inc corporate office on CorporateOffice.com. This review will be public, so please do not post any of your personal information on this website. If you would like to contact the corporate offices of Juicy Couture, Inc, please use their contact information such as their phone number, website, and address listed above to contact them. However, sometimes staff from Juicy Couture, Inc headquarters do read the reviews on this website.